What can you expect for under $1,000? If you're searching for the best mattress under $1,000, expect to do a little homework. There are plenty of mattresses priced in this range. But how do you know which, if any, are good solid values. We'll do our best to simplify your search! 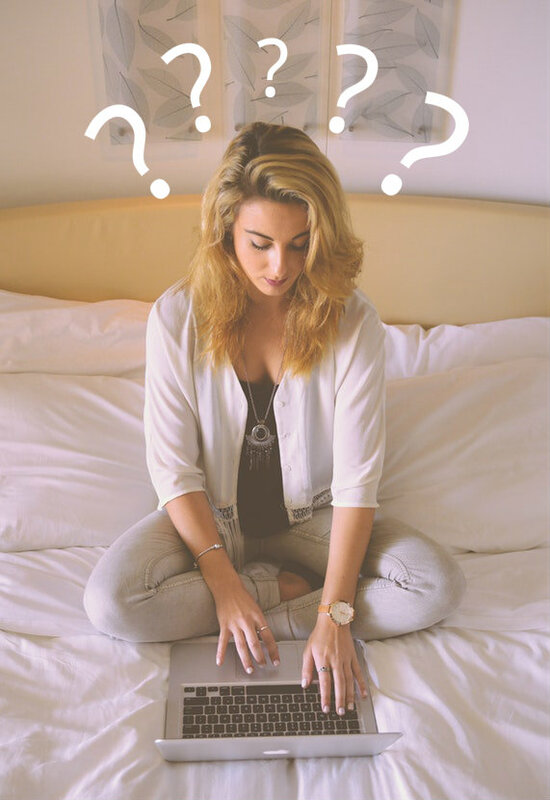 It's important first to consider what types of mattresses are available and which one is best for you! There are a few newcomers to our list this year. In the past, this category consisted of all foam beds. 2018 features mostly coil spring mattresses. Our selections were determined by genuine "value", not who has the most clever marketing campaign. All five of these beds built and priced for both quality and affordability. Delivery: Free in the continental U.S. Comfort Guarantee: 100 Night Home Trial - If not fully satisfied during this period, Tomorrow Sleep will arrange a fee pick up and refund your payment in full. *Based on overall quality and performance, Tomorrow Sleep is our clear choice for Best Mattress Under $1,000! Construction: 6” of pocketed 800 Series high-carbon steel pocketed coil (.083" wire.) / Combined with high density Memory Foam. 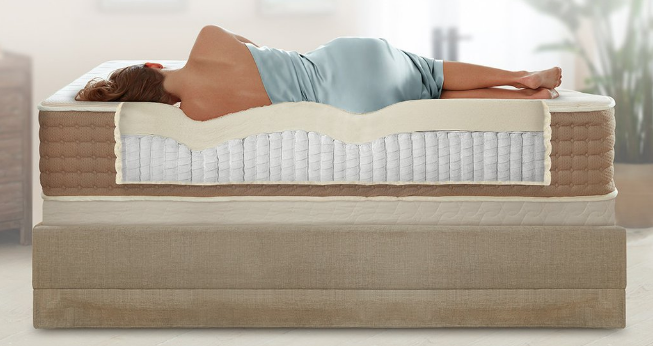 This hybrid mattress offers exceptional support, pressure relief and low motion detection. Comfort Options: - Medium Firm - Best for back, stomach and some side sleepers. If you truly need a plusher feel, we recommend Tomorrow Sleep's Medium Soft. Medium Soft - Best for Side and Back Sleepers. This option may be too soft for stomach sleepers who typically require a firmer feel. For those, we recommend the Medium Firm. Price - $990 for standard Queen. Warranty: Full 15 year - This non-prorated warranty is valid from date of purchase through conclusion of warranty period. Comfort Guarantee: 90 Day Comfort Trial - If not fully satisfied, you may call to schedule a free pick up and full refund. Construction: Fabric encased individually pocketed coils topped with 2 1/2" of Natural Dunlop Latex and Organic Cotton. Expect solid support and conformity that sleeps cool and comfortable. Comfort options: Firm - Ideal for stomach sleepers or back sleepers who desire a firmer feel. Medium - This option accommodates most side and back sleepers. Price: $999 for standard queen medium firm or medium. 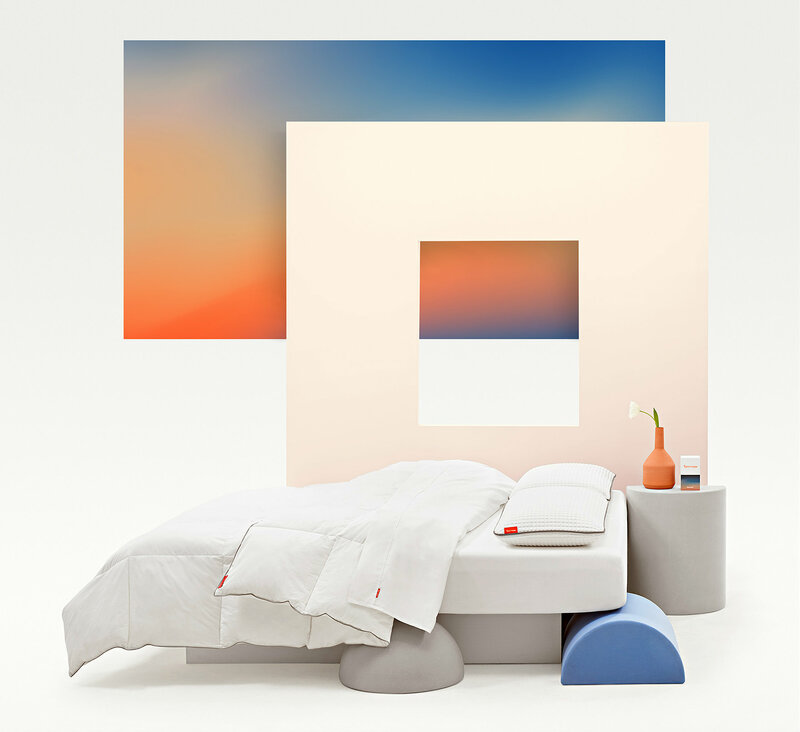 Comfort Guarantee: 120 Night Home Trial - If not completely satisfied with your mattress, you may return it during the trial period for full refund less a $99 handling fee. Construction: Coil on coil innerspring (made from recycled steel - top unit is individually pocketed, Organic Cotton Quilted cover, bio based foam made from 30 - 40% Soy and corn oil. Natural Wool is used to create fire barrier. Comfort Options: Plush Soft, Luxury Firm & Firm comfort feels are available. 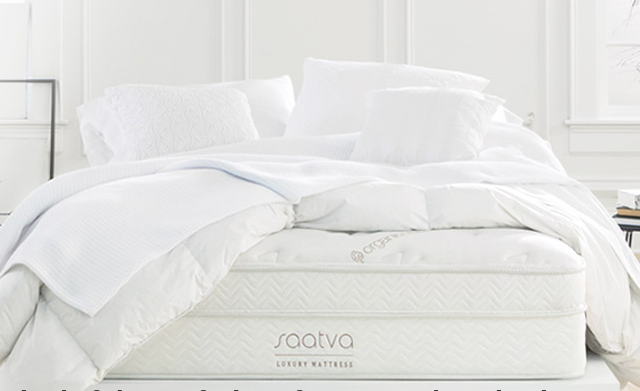 No one mattress is right for everyone and this gives Saatva a distinct competitive advantage. Price: $999 for standard Queen in all 3 comfort options are available. Warranty: 10 year - Your mattress will be repaired or replaced if found defective; at the company's discretion. Comfort Guarantee: 100 Night Home Trial - You can return or exchange your mattress (one time only) through the duration of the trial period. Full refund on return payment will be issued. ​Construction: 1074 L&P 3 Zoned Pocketed Coil, Certified Organic Cotton -Global Organic Textile Standard (GOLS), Natural American Wool - Oeko-Tex Certified Acts as natural fire barrier. Comfort Options: Medium Firm - Best for back, stomach and some side sleepers. 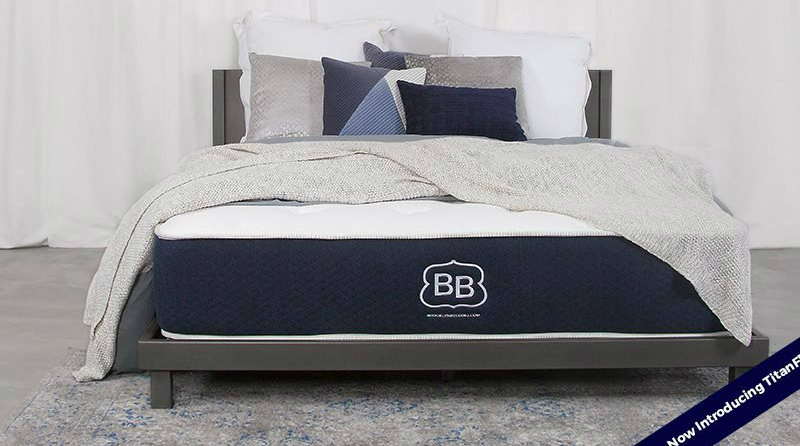 Price: Standard Queen - $749 (9 3/4") or $989 (11") two sided mattress. Delivery: Shipping is free in the continental U.S.
Construction: New high density TaitanFlex foam and Ascension pocketed coil hybrid. Cotton Cover with poly foam backing for additional comfort. Comfort Options: Available in Firm, Medium or Soft, there is a comfort feel for everyone! Price: The $949 cost for standard queen is makes the Brooklyn Signature an exceptional value! Delivery: Free shipping is provided to the 48 continental United States via FedEx Ground.